A European team has used the Astrophysical Virtual Observatory (AVO) to find 30 supermassive black holes that had previously escaped detection behind masking dust clouds. The identification of this large population of long-sought 'hidden' black holes is the first scientific discovery to emerge from a Virtual Observatory. The result suggests that astronomers may have underestimated the number of powerful supermassive black holes by as much as a factor of five. 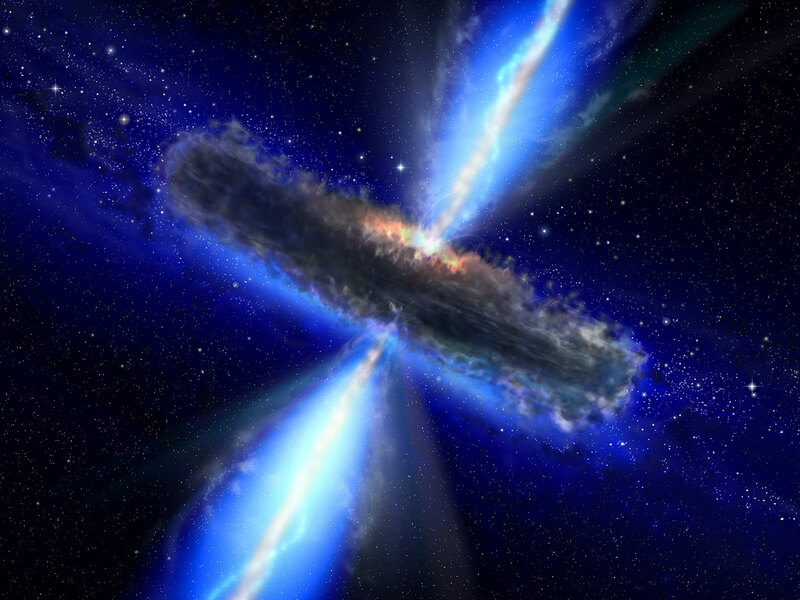 Black holes collect dust. They lurk at the centres of active galaxies in environments not unlike those found in violent tornadoes on Earth. Just as in a tornado, where debris is often found spinning about the vortex, so in a black hole, a dust torus surrounds its waist. In some cases astronomers can look along the axis of the dust torus from above or from below and have a clear view of the black hole. Technically these objects are then called "type 1 sources". "Type 2 sources" lie with the dust torus edge-on as viewed from Earth so our view of the black hole is totally blocked by the dust over a range of wavelengths from the near-infrared to soft X-rays. 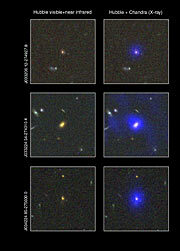 While many dust-obscured low-power black holes (called "Seyfert 2s") have been identified, until recently few of their high-power counterparts were known. 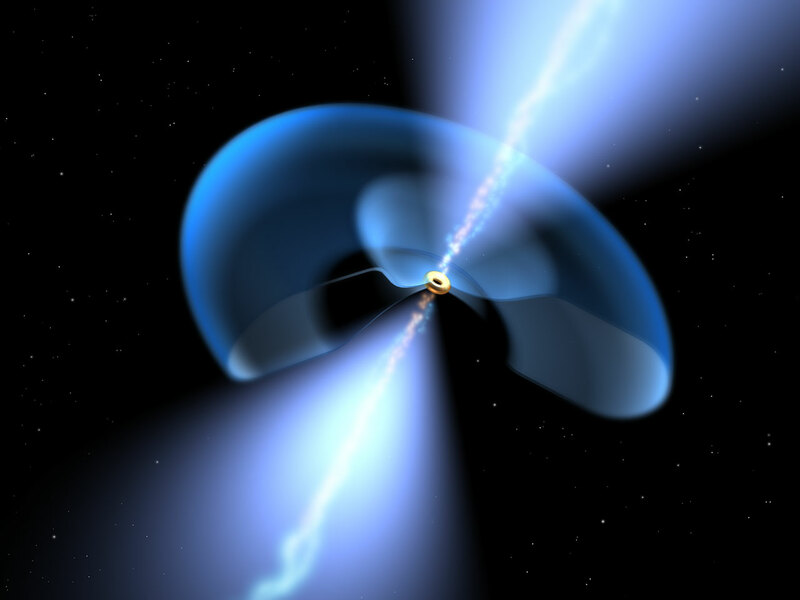 The identification of a population of high-power obscured black holes and the active galaxies in which they live has been a key goal for astronomers and will lead to greater understanding and a refinement of the cosmological models describing our Universe. Padovani and the team used an innovative technique. Using a Virtual Observatory (VO) they combined information from multiple wavelengths from Hubble, ESO's Very Large Telescope and NASA's Chandra. This unprecedented team effort by the largest telescopes in the world made this discovery possible. The majority of the sources are so faint that it is currently not possible to take spectra of them and the VO techniques made it possible for the researchers to work seamlessly with images and catalogues from many different sources. The paper describing these results has just been accepted by the European journal Astro¾nomy & Astrophysics and will be published in an upcoming issue. This is the first refereed scientific paper based on end-to-end use of Virtual Observatory tools. The results in the paper show that the VO has evolved beyond the demonstration level to become a real research tool. "These discoveries highlight the kind of scientific impact that Virtual Observatory technologies and standards will have on astronomy world-wide", said Peter Quinn (European Southern Observatory), director of the AVO. "The Astrophysical Virtual Observatory wants to continue to work with astronomers in Europe to enable more discoveries like this, using combined data from ground- and space-based observatories". The team already has plans to investigate the new population of dusty black holes by using even more telescopes: the European Southern Observatory's Very Large Telescope (near-infrared), NASA's Spitzer Space Telescope (far-infrared) using emerging new VO tools. This will give further insight into the nature of these sources. The AVO science team behind this discovery acted on priorities set by the community Science Working Group. The team is led by Paolo Padovani and comprises the scientific leads of the AVO partner projects, Mark Allen, AVO Project Scientist at the CDS, and Nicholas Walton, Project Scientist of AstroGrid, and Piero Rosati (ESO) of the GOODS and CDF-S science team. The European Commission has recognised the fundamental importance of applying advanced new computational and information discovery techniques in enabling and speeding the astrophysical research process. To this end, through its Framework 5 programme, the EC has funded 50% of the Astrophysical Virtual Observatory, specifically to develop an advanced Virtual Observatory framework to enable European astronomical research. 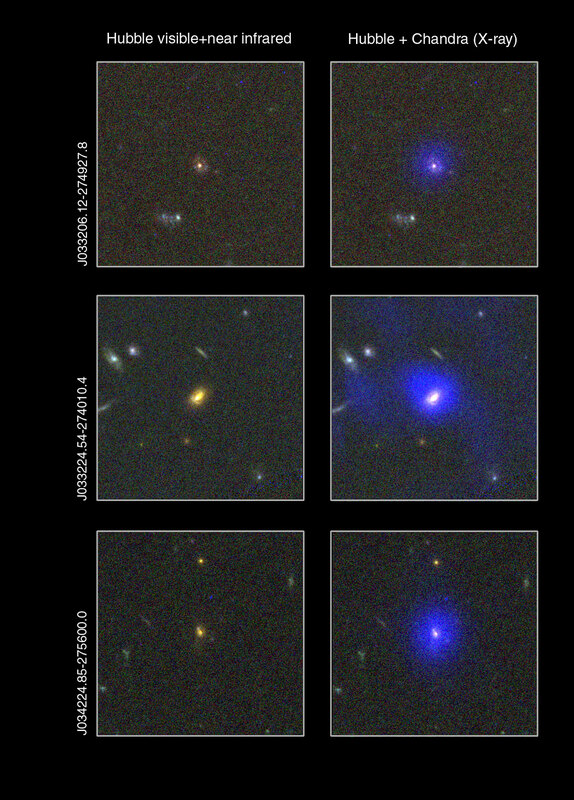 The authors would like to acknowledge the many people who produced the data on which these results are based: the GOODS, Chandra Deep Field-South, Penn State and HELLAS2XMM teams. The breathtaking capabilities and ultra-high efficiency of new ground and space-based observatories have led to a data explosion calling for innovative ways to process, explore, and exploit these data. The Virtual Observatory (VO) is an innovative, evolving system that allows users to interrogate multiple data centres in a seamless and transparent way using new international standards for data access and mining protocols. The VO initiative is a global collaboration of the world's astronomical communities under the auspices of the International Virtual Observatory Alliance (IVOA). The Astrophysical Virtual Observatory (AVO) project is concluding a research and demonstration programme on the scientific requirements and technologies necessary to build a VO for European astronomy. The AVO has six European organizations participating in a three year Phase-A work programme. 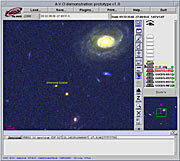 The partner organizations are ESO in Munich, ESA, AstroGrid, which is funded by PPARC as part of the United Kingdom's E-Science programme, the CNRS-supported Centre de Données astronomiques de Strasbourg (CDS) at the University Louis Pasteur in Strasbourg, the TERAPIX Astronomical Data Centre at the Institut d'Astrophysique in Paris and the Jodrell Bank Observatory of the Victoria University of Manchester. 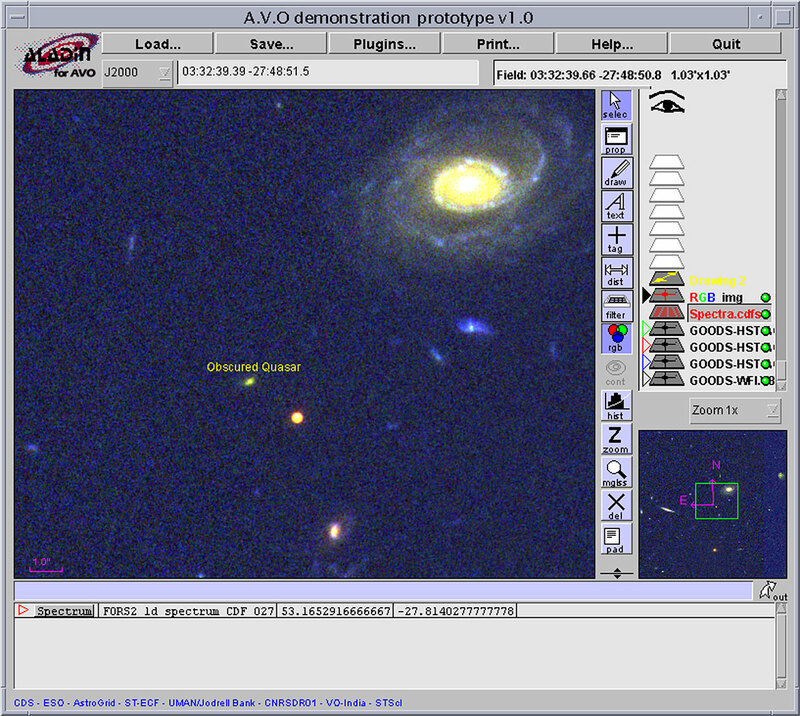 This result stems from the use of a newly developed Virtual Observatory (VO) demonstrator system that was produced to meet the demands of the European astronomical community. Excitingly this demonstration science is showing how this publicly available system can boost European astronomy. The AVO Phase-A will end October 31 2005. The project will then move towards the EURO-VO, that is the full-fledged 4-year European VO programme.